"AI-driven immersive and spatial technologies are becoming mainstream," says Marco DeMiroz, general partner of the VR Fund, which was co-founded by NR30 member Tipatat Chennavasin. "Phiar's breakthrough deep learning technology and AR navigation app provides not just value to users, but also sets an example of the kind of incredible potential at the nexus of AI and AR." Phiar's technology uses deep learning and computer vision to segment the camera view on smartphones, enabling the app to identify roads, cars, pedestrians, and other objects and deliver prompts on the camera view with precision. Through just a standard smartphone camera sensor, Phiar's neural networks offer on-device computation, which results in faster performance than cloud-based solutions. 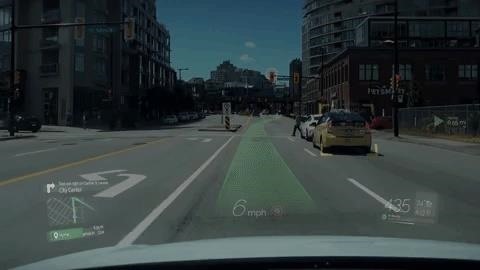 "We want our users to keep their eyes on the road, looking at the real world rather than a 2D rendering of it," said Ivy Li, Phiar's co-founder and CTO, in a statement. "What makes the experience so unique is the live AR path overlays, made possible by our super efficient computer vision and deep learning AI that runs on your smartphone. This augments your surroundings rather than distracting you from them." Li, a former data scientist at Shutterstock, and CEO Dr. Chen-Ping Yu, a computer vision researcher and post-doctoral fellow at Harvard University prior to Phiar, launched the company earlier this year at Y Combinator. The pair is supported by a team of engineers and designers, hailing from previous places of employment that include Microsoft, Apple, and VMWare, with experience augmented reality design and deep learning, among other disciplines. "The idea came after taking too many wrong turns on the streets of Boston," said Yu. "What we're building is going to help people get to their destination faster and safer." 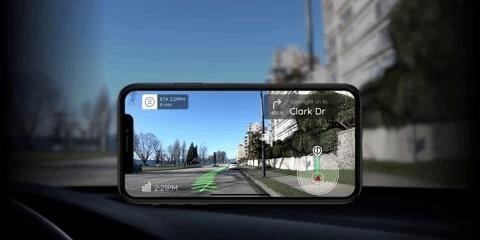 Augmented reality navigation is one of the use cases for the technology that has always seemed to be an inevitability, with Google, Blippar, Mapbox, Visualix, American Airlines, and others either offering or working on offering an AR navigation solution through an app or a software platform. In fact, rideshare company Lyft recently acquired Google-backed AR cloud startup Blue Vision, a development that promises to accelerate the arrival of a mainstream AR navigation app. Still, to date, actual implementations of AR navigation have been limited. In recent months, Blippar shipped its AR City navigation app, the more gimmicky Hotstepper offered a more fun take on the AR navigation dynamic, and South Korea's Hana Micron published the AR Ways app for the Winter Olympic Games. But those apps all exist more as demos or isolated deployments rather than serving as mainstream commercial solutions that millions are likely to adopt. Therefore, the segment is still wide open with no clear market leader. With Phiar's entry just around the corner, the funding comes as a relatively timely bet for its investors. But, in the quick-paced tech world, a lot can happen between now and the midway point of 2019.